Synopsis: When Starfleet comes under attack, the crew of the Enterprise are challenged to apprehend the culprit, a man who goes by the name of John Harrison, a man who is on his personal mission of vengeance. Review: JJ Abrams certainly undertook his own almost five year mission when it came to his work with the Star Trek franchise. After directing its enormously successful 2009 reboot, and with a little break in between in which he directed 2011’s Super 8, the director sat back down in the Star Trek director’s chair once again for its 2013 sequel. Under his guidance, the franchise returned to prosperity with the first movie in the rebooted franchise, and this installment of the franchise certainly helped to continue that trend. Abrams certainly understood that what makes Star Trek is the relationship between Kirk and Spock. Despite being friends, they still have their differences and come to several disagreements which threaten to tear them apart. This is until a very frightening threat emerges against Starfleet in the form of Benedict Cumberbatch’s character, a man we initially know as just John Harrison, but if you have seen the movie, you know that he is hiding some secrets about his true identity. The first film suffered from a lack of a really compelling villain. However with Cumberbatch, there was no chance of that repeating as he is electric to watch. His work in the Hobbit movies certainly showed he has a very menacing and sinister way of delivering his lines, and he was completely compelling to watch, as he battles with the Enterprise, it makes for some really entertaining moments. Although Cumberbatch steals the show, the Enterprise crew certainly also show their credentials once again, with Chris Pine remaining excellent as Kirk. Much like Cumberbatch, he is very compelling to watch, and even more so when the two of them clash. In addition, Zachary Quinto and Zoe Saldana certainly command more screen time than the others, with Simon Pegg once again providing the comic relief as Scotty. The acting remained of a very stellar quality and the action remains just as exciting here as it was in the first movie. Abrams once again demonstrated his tremendous skills when it came to the action sequences. Once scene in particular that takes place on the Klingon home-world shows Abrams at his best. The film never stops, and Roberto Orci and Alex Kurtzman back on script duties do some tremendous work to provide newer fans of the franchise to enjoy, whilst also throwing things in there that should satisfy every Trekkie on the planet. The prosperity returned to the franchise under Abrams’s tutelage and direction without a doubt, despite what some Trekkies may tell you. The movie has suffered over the years and was voted the worst film in the franchise, yet it provides plenty of entertainment for everyone to enjoy. Although he moved on to direct this franchise’s great rival in Star Wars, it is hard to argue against the terrific job Abrams has done for the franchise, he brought it back to prominence and at the end of his four year mission, he has vacated the chair, and certainly left the franchise in a better position than when he found it, of that there is no question. 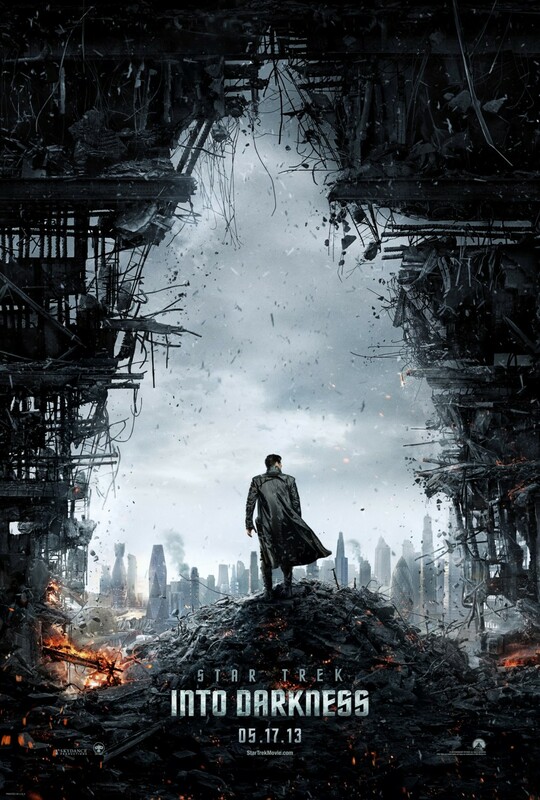 Certain Trekkies will undoubtedly argue otherwise, but this chapter continues from where the first film left off, with great action sequences, a really deep and emotional story and a tremendous performance from Cumberbatch as the antagonist. Live long and prosper indeed! Not as good as Star Trek 2009, or even Beyond (saw yesterday) but very entertaining. This has turned out to be a pretty good trilogy! Good review.